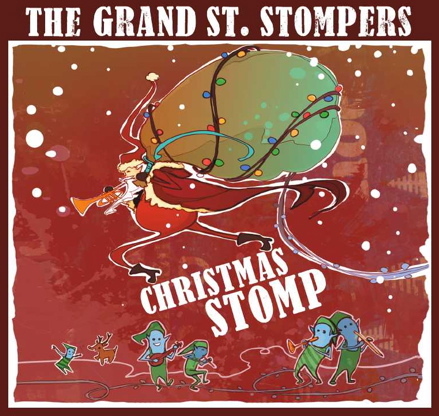 The Grand St. Stompers are creative joymakers. Their ensembles rock; their solos soar; the band can sound like the Louis Armstrong All-Stars then hint at Gil Evans or Forties Ellington. Sweet or tart vocals by Tamar Korn and Molly Ryan tie up the holiday package with a glossy bow. The music celebrates the season but it’s nothing like the formulaic seasonal blare. No Rudolph, no drummer boy—just pleasure, ingenuity, and sly humor. I just played the album for the first time and agree on all you say, nothing to be added. Just that I will play these tunes the year round. A pleasure to the ear and to the feet, increased happiness will last way past Easter.